We print our posters on the very best HP large format printers using extremely high quality 220gsm thick paper and a 6 ink system for razor sharp prints. The quality of our graphics are second to none with superb quality prints from your files or our artwork. We stock a range of papers and produce your job exactly to your requirements. Prints can be produced as single images upto 40" wide by any length. To order any of the beneath, please click on file upload. Once your files are uploaded we will check your files and send you an e-payment form. In any full colour poster, the colour choices directly affect the number of passing heads turned and how the message is perceived. Vivid colours are always the easiest to spot even from a distance, especially if combined tastefully. 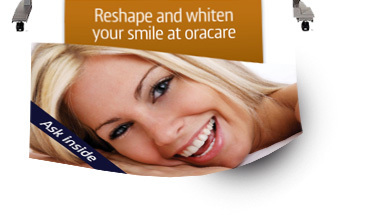 An advertiser should always consider a good contrast of hues to draw the eye and catch focus. Along with a reader-friendly font, good contrast between the background and font colour also makes words easier to read. 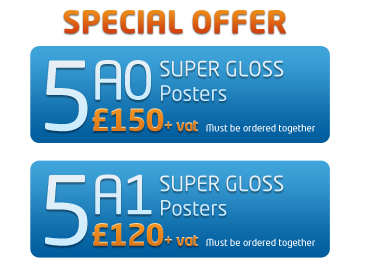 There are many solutions in colour poster printing London offers to businesses and advertisers. Find the ones that best suit the needs of your company today. Please note: We do not accept visitors who wish to bring files to us directly at our premises. All orders must be uploaded, and then can be collected once your order is ready. If you require a more individualised service where you would like to meet, discuss your order then we can quote for this – please email us. Any orders uploaded by 3pm will be ready by 3pm the following working day. If you need your poster GUARANTEED to be available sooner for collection we advise asking for our SAME DAY service which is at a 40% extra fee on top of our low prices below. Please note we are closed on Saturday and Sundays. How many Posters would you like to print? GUARANTEED same day poster printing collection from our Central London will be at an additional cost of 40% on our above prices. Call to confirm a same day service. Turnaround is often next day for up to 10 qty. Same day possible on request. For overnight delivery to anywhere in Mainland UK delivery is often charged at £7.95 + vat. Just need your own poster or maps laminated? Prices are exc vat. Lamination prices above are for posters/prints supplied by you. Turnaround is often next day for up to 10 qty. Same day service possible on request.